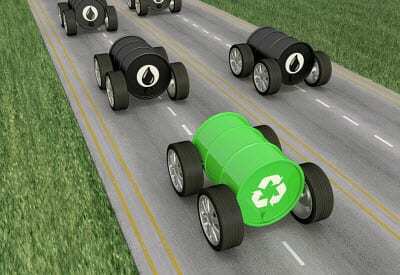 Future highways could have a special lane that recharges electric vehicle batteries while these green cars are on the move. In an effort to both help encourage more drivers to purchase electric cars and alleviate range anxiety – the term used to describe the fear electric and plug-in vehicle drivers have of running out of power while driving in the middle of nowhere – Britain is exploring a new way to charge these eco cars by equipping roads with a charging system technology. This would give drivers the ability to charge their vehicles while they drive. The technology is set to be tested later this year. The testing will be conducted by Highways England. The trial will involve installing “dynamic charging” systems underneath roads created to imitate actual highway conditions. More specifically, coils, which can receive and produce electricity form electromagnetic fields created by cables installed beneath the test track, will be placed underneath the asphalt of designated charging lanes. These special lanes will provide wireless charging to vehicles that have been fitted with charging receivers (wireless technology). These wireless recharging lanes will be designed for electric cars, as well as plug-in hybrids, and other “ultra low emission” vehicles, so that the batteries of these vehicles can be filled without the driver having to worry about finding a charging station. In essence, the charging system will work something like a wireless mobile device charger. The testing period on mock roads is expected to run for 18 months before the technology is tested on real roads. The UK government has big future goals for electric cars and other low emission vehicles. In addition to testing out the wireless charging road, the UK government has also pledged to install plug-in charging stations every 20 miles along major highways, which should also help to improve the sales of electric cars and give drivers of these vehicles better peace of mind.